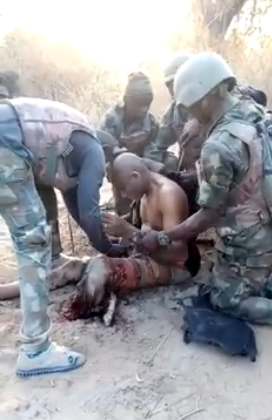 After some soldiers recently stepped on landmines reportedly planted by Boko Haram terrorists in Gwoza local government area of Borno State and many casualties recorded, another soldier has lost his leg. 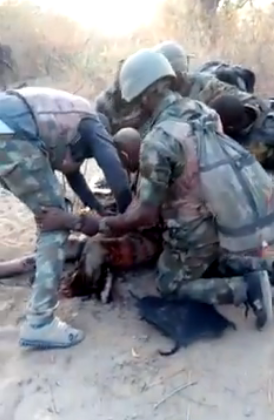 In a video shared on social media, a group of soldiers were seen filmed treating their colleague who lost one of his legs following an IED explosion while fighting Boko Haram insurgents on the frontline. 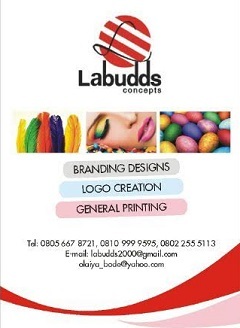 The soldier was seen very calm as his colleagues attended to him. Honestly, soldiers deserves the best!! !